Seota, a digital consulting company, has been helping clients dominate their market since 2009. Seota helps local businesses like doctors, HVAC repair and roofing companies to national ecommerce stores selling shoes, apparel, video games and music. Our team has deep experience in SEO, Pay-Per-Click Advertising and Web Development. We have done work with some the world's best brands including The PGA, Revlon, Alcon Labs and a few companies owned by BERKSHIRE HATHAWAY INC. Seota has help mid-market and SMB clients to have life changing revenue increases by leveraging the experience gained larger brands. Seota built Review Fire, an online reputation management software that will help you listen to your customers and improve your business. Frisco needs more businesses like Review Fire. The Review Fire marketing website is shown here. 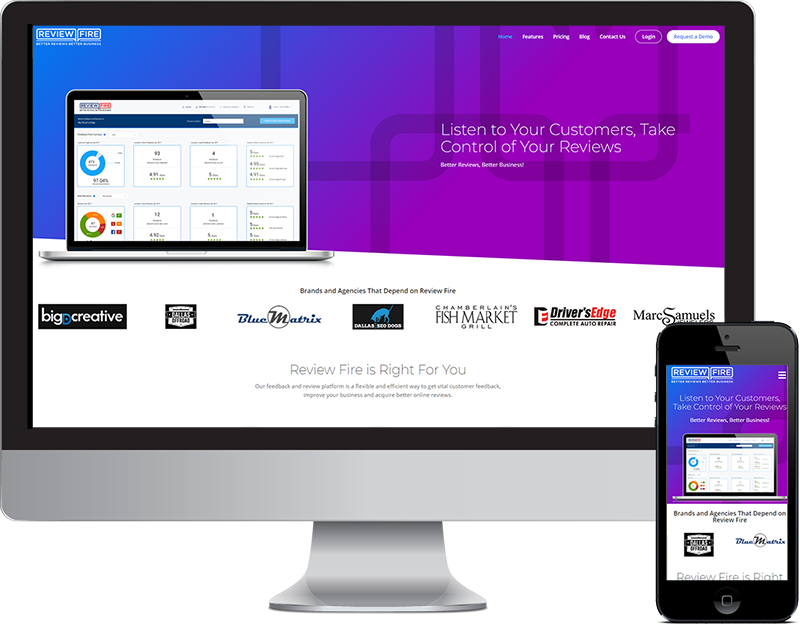 Review Fire is used by 100s of business locations across the USA to measure the voice of the customer and drive reviews. This great little cafe and bakery has six (6) locations in DFW and is run by two Frisco entrepreneurs who trusted Seota to drive more traffic to each of their locations. 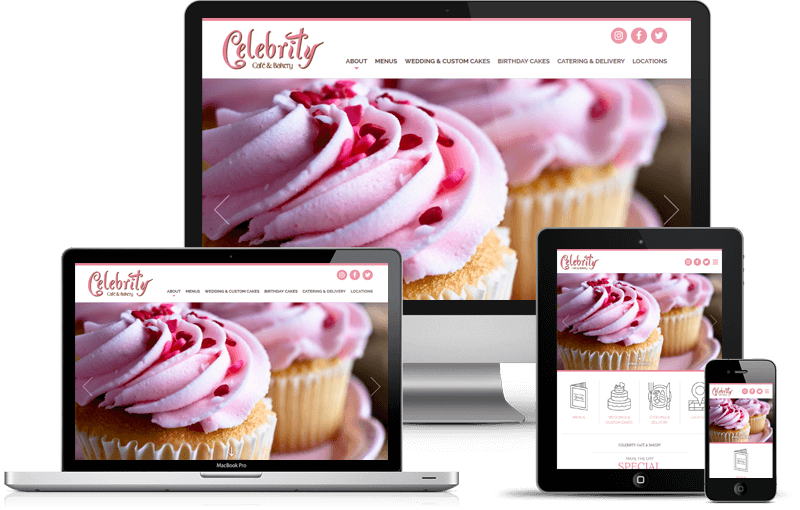 The site is built in WordPress and each location was given its own page with some special SEO icing to drive traffic for baked goods, lunch and custom birthday cakes. Frisco needs more multi-location restaurants like Celebrity Cafe & Bakery and we are here to help them be successful. 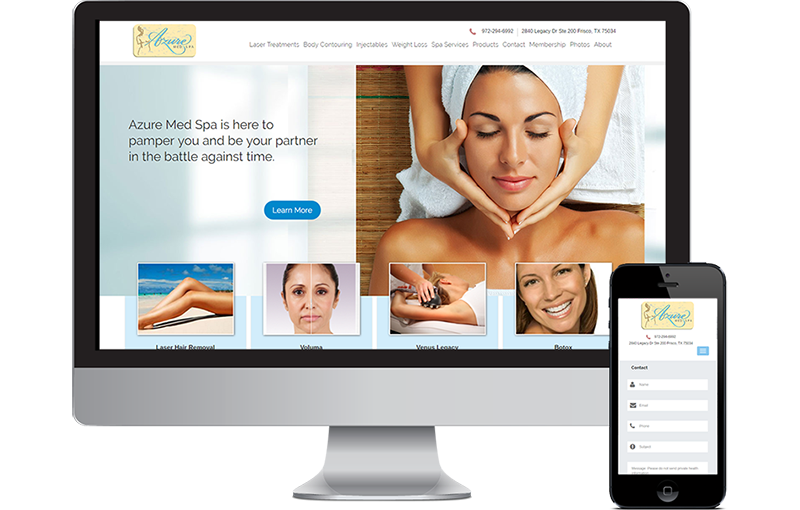 Azure Med Spa, on Legacy Dr. in Frisco, has been a Website support and SEO client for six years. We also manage the Gynecologist office website that shares the location which has made both businesses are very successful. The Azure marketing website that we built is shown here. The website is responsive and very easy to use from a mobile device. The site has over 100 top 5 listings for key phrases on Google.